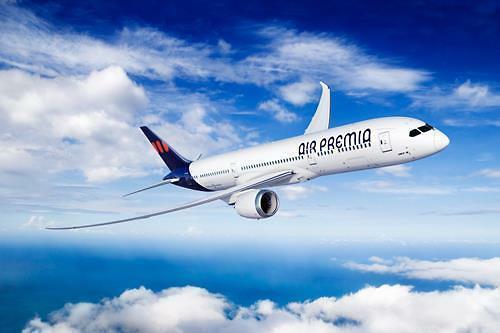 SEOUL -- Air Premia, South Korea's first hybrid service carrier which was licensed in March, will lease three B787-9 passenger jets next year for mid to long-haul routes, promising to introduce an innovative start-up model in the competitive Northeast Asian market. Under a contract with Air Lease Corporation, an American aircraft leasing company, Air Premia will receive the first plane in July next year and two more in September and November. With new B787-9 models, the carrier plans to provide services to high-demand destinations in Vietnam, Japan and Hong Kong next year before flying to Los Angeles and San Jose from 2021. 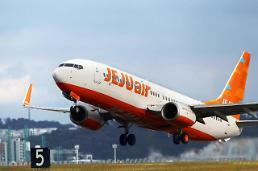 "We've taken a significant first step as a fledgling airline preparing for its first flight next year," Air Premia CEO Kim Jong-chul said. "We will try to successfully introduce the innovative start-up model of Air Premia to the Northeast Asian market." In running the country's first hybrid carrier, Kim has envisaged a different business strategy to avert direct competition with budget carriers. Air Premia follows the operation model of low-cost carriers, but it offers a low-density seat configuration and a premium service. Air Premia would offer a low-density seat configuration, a premium service such as free snacks and more affordable prices than full-service carriers.